Reading Legacies’ mission is to facilitate supportive relationships for children through family and friends reading aloud with them. Our vision is that all children regardless of economic circumstance or home environment have the opportunity to be read aloud with on a regular basis. Our programs are provided year round in 16 sites throughout San Diego County with the help of over 200 volunteers. Since our inception in 2009, over 49,500 children, youth and family members have shared a storybook together through our programs. Strengthening family bonds by incorporating reading aloud in families separated by incarceration. Young people learn leadership and public service by reading aloud to children in their community. 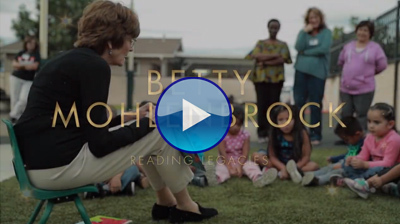 Reading Legacies relies on the generousity and participation of its donors and volunteers. See how you can help! We welcome your direct charitable donations. Thank you for supporting our programs. Support us with your spare change each time you use your debit or credit card. Click below for more information. 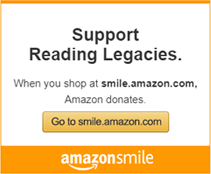 The gift of custom gift cards benefitting charitable causes like Reading Legacies. Redeem your L’Oréal Reward points to support Reading Legacies. © Reading Legacies • All Rights Reserved.